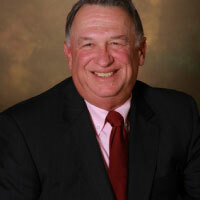 Dave is Vice President/Corporate Counsel of Seaver, Greco and Attorneys Title Agencies. He has worked in the title insurance industry since 1999 and he currently heads the Michigan commercial department. Dave received his undergraduate degree from the University of Michigan in 1991 and his law degree from Wayne State University in 1995. He is a past honoree of Lawyers Weekly publication as an In-House Leader in Law and he specializes in working through commercial real estate transactions with affiliated real estate professionals, such as attorneys, lenders, builders, developers and agents. Phil Seaver is currently the President of Seaver Title Agency, a division of ATA National Title Group. He has been involved in title insurance since 1971. During that time he has been involved in many industry related groups. he served on the Board of Directors of the North Oakland County Builder’s Association for 17 years and chaired the Consumer Protection and Arbitration committee for 12 of those years. He was on the Board of Directors of the North Oakland County Board of Realtors for 26 years. He sits on the Michigan Association of Realtors Public Policy Committee from 1990 to the present. 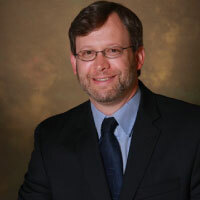 He has served on the Michigan Land Title Association Steering Committee since 1997. He currently sits on the HBA of Southeast Michigan Board of Directors and has done so since 2008, after serving on the Michigan Association of Home Builders Legislative Committee from 1997 through 2010. Phil received his undergraduate degree from Michigan State University and his law degree from Wayne State University in 1975. He speaks frequently to Realtor groups, lender groups, law firms, and general public programs concerning real estate related topics. In all my 35 plus years of real estate business, Seaver Title Agency has conducted every transaction, new acquisition or otherwise for myself and my company. I have always insisted on working with Seaver Title Agency and will continue to do so in the legacy of my company. I have known Phil Seaver as long as I have been in the real estate business and his ability to respond to me in any legal matter quickly and efficiently has always impressed me. Phil and his team, are quick, efficient, professional, extremely competent and most pleasant to work with. His team specifically, David Barris and Tina Easley and other individuals at the Bloomfield Hills office, following in Phil’s example, have gone above and beyond to serve our office and turn around deals promptly in short time period. We appreciate the relationship we have with Phil Seaver and his team of people; and have the utmost respect and confidence in them and their work and would recommend them to anyone in or out of our community of business. Tina is Commercial Escrow Manager of Seaver, Greco and Attorneys Title Agencies. 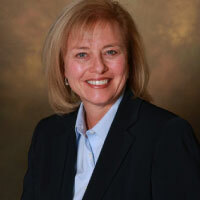 The combination of her Mathematics degree from Michigan State University, her 18 years of escrow experience, and her thorough comprehension of the closing processes and procedures establish Tina as a go-to person for even the most complicated transactions. That she has both a builder’s license and a real estate license enables her to analyze and comprehend transactions beyond just the title perspective. While most consider closing an intricate commercial closing with numerous moving parts to be an unenviable task, at its extreme akin to herding cats, Tina thrives on them. All in all, Tina’s complete set of transactional skills make her a unique and invaluable member of the Michigan commercial team.